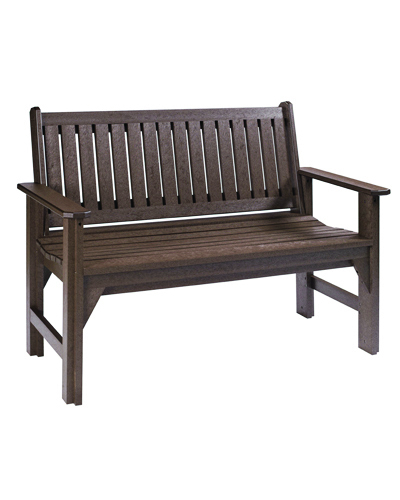 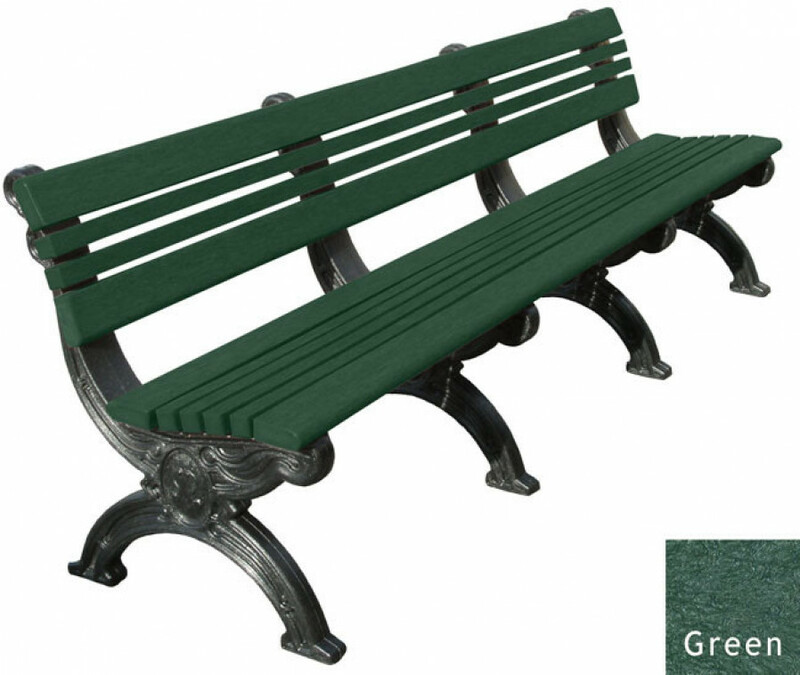 A comfortable and durable 6′ Cambridge-style bench with arms at a great price, these benches will never rot, rust, or need to be painted. 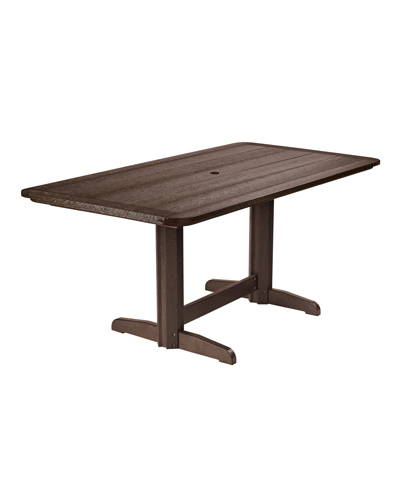 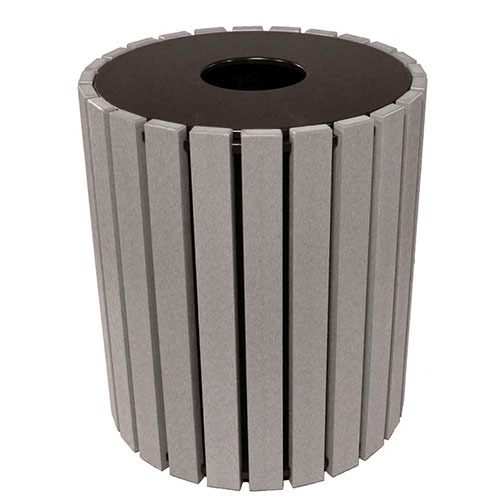 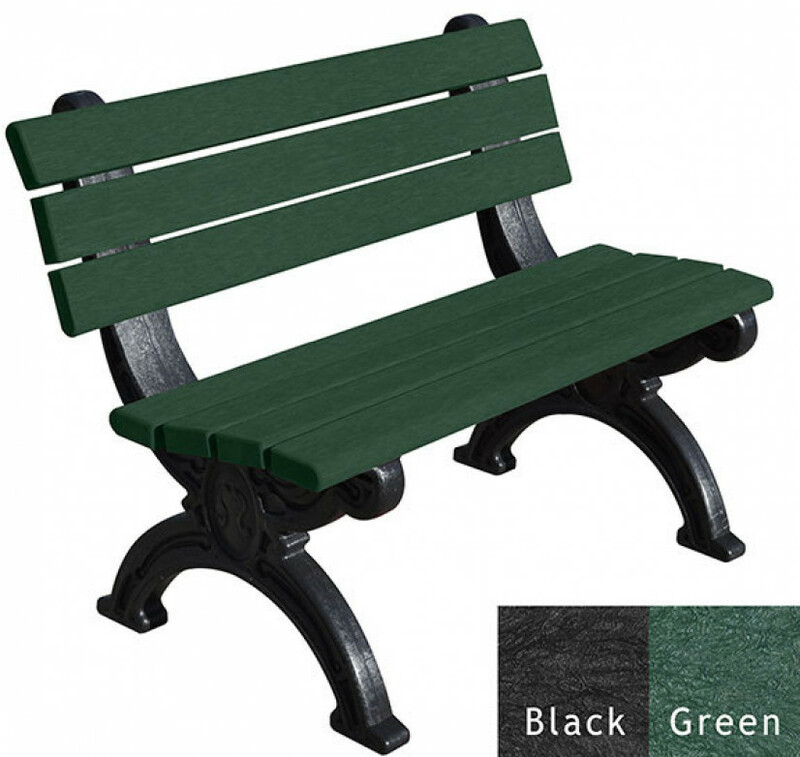 Made with 100% recycled plastic components and available in a variety of colors. 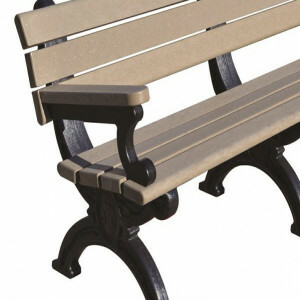 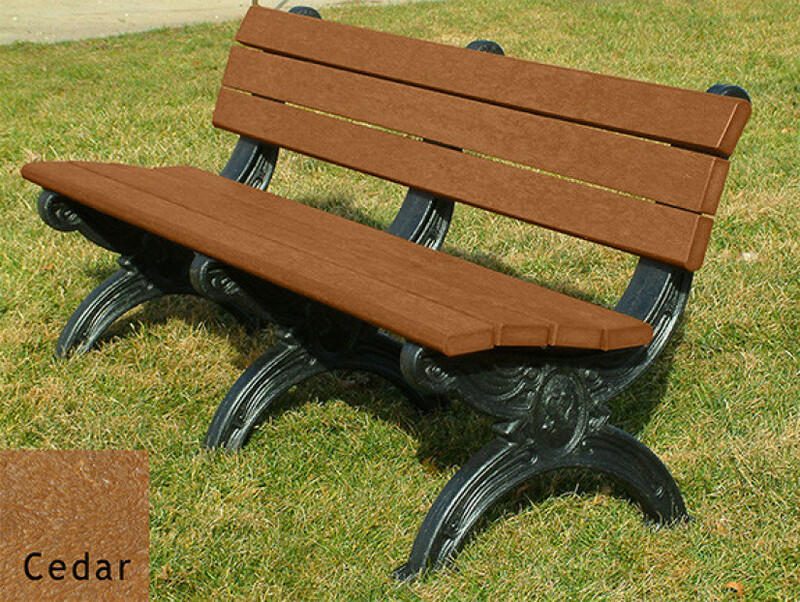 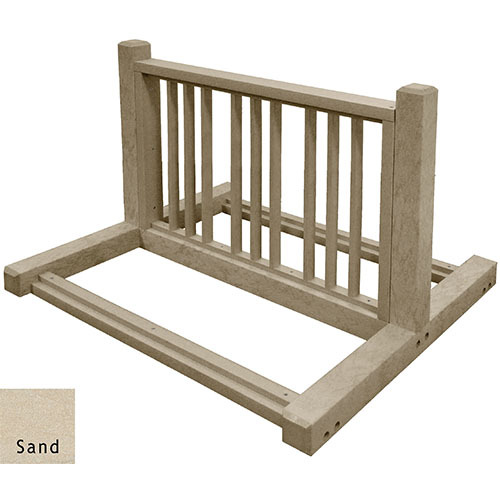 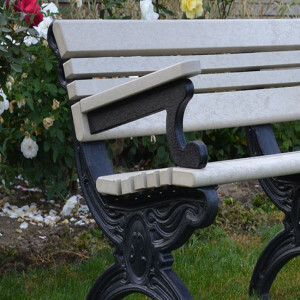 A comfortable and durable 6′ Silhouette-style bench at a great price, these benches will never rot, rust, or need to be painted. 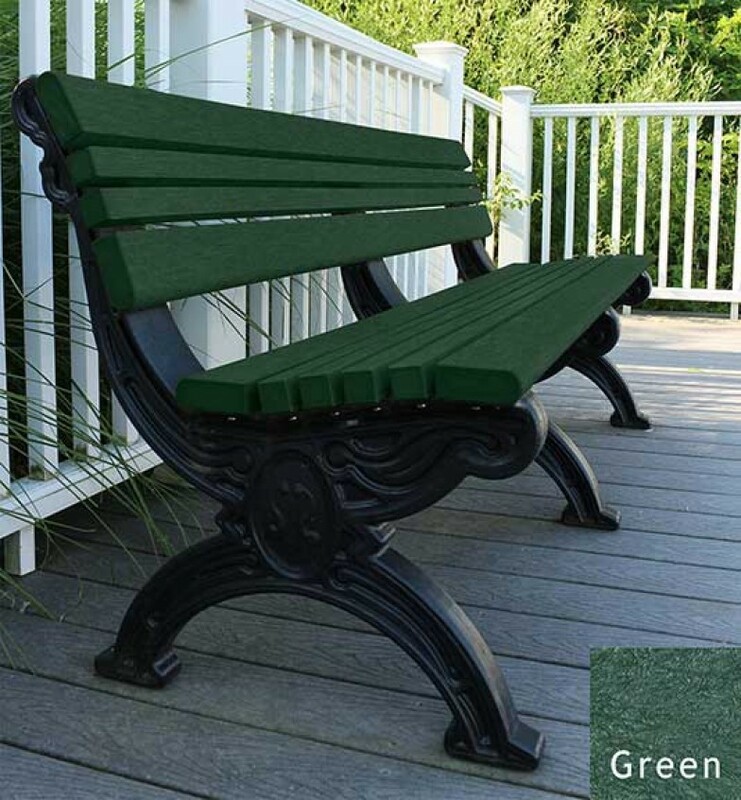 Made with 100% recycled plastic components and available in a variety of colors.